In 1936, a British plane flew to the Canaries. On board, Major Hugh Pollard was travelling in the company of two attractive young blondes. But this was no holiday and Pollard no ordinary tourist, he was a long-time MI6 agent embarking on a secret mission. Later, leaving the Canaries for Morocco, the very same plane carried another passenger: General Francisco Franco. 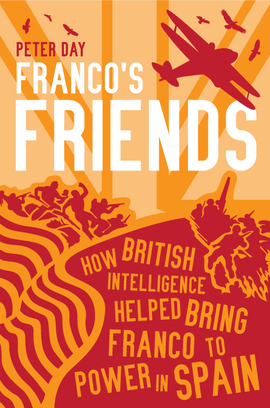 With a cast list that reads like a who’s who of British intelligence, Franco’s Friends tells the little-known story of how MI6 helped orchestrate the coup that brought General Franco to power. In this revelatory account, by drawing on previously classified files, Peter Day details the bribes, the plots and the moral dilemmas behind one of the most dubious acts ever carried out by the British government in the name of self-interest.